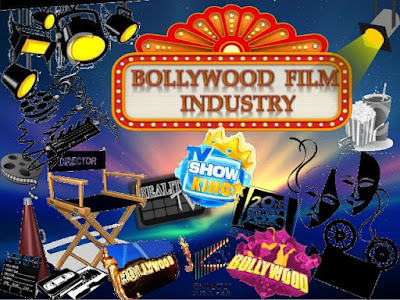 Movie Industries in India has really been a treat for many viewers and the cinematic experience is very well showcased in each of these industries.We have come up with the list of movie industries in India that has been increasing its popularity since the last few years. The Cinema of India consists of films produced in the nation of India. Cinema is immensely popular there, with as many as 1,600 films produced in various languages every year. Indian cinema produces more films watched by more people than any other country; in 2011, over 3.5 billion tickets were sold across the globe, 900,000 more than Hollywood. As of 2013 India ranked first in terms of annual film output, followed by Nollywood, Hollywood and China. In 2012, India produced 1,602 feature films.The Indian film industry reached overall revenues of $1.86 billion (93 billion) in 2011. In 2015, India had a total box office gross of US$2.1 billion, one of the largest in the world. 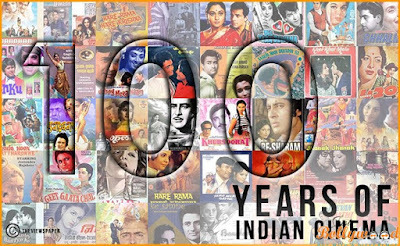 Bollywood, formally known as Hindi cinema, is the Indian Hindi language film industry, based in the city of Mumbai (formerly Bombay), Maharashtra, India. Bollywood is part of the larger cinema of India, which includes other production centres producing films in other Indian languages. Telugu cinema, also known by its sobriquet Tollywood, is the segment of Indian cinema dedicated to the production of motion pictures in the Telugu language, based in Film Nagar, a neighbourhood of Hyderabad, Telangana. Since 1909, filmmaker Raghupathi Venkaiah Naidu was involved in producing short films and travelling to different regions in Asia to promote film work. In 1921, he produced the first Telugu silent film, Bhishma Pratigna. He is cited as the father of Telugu cinema. The first film studio in South India, Durga Cinetone, was built in 1936 by Nidamarthi Surayya in Rajahmundry, Andhra Pradesh.The 1951 film Patala Bhairavi was the only South Indian film screened at the first India International Film Festival, held in Mumbai on 24 January 1952.CNN-IBN listed Patala Bhairavi (1951), Malliswari (1951), Devadasu (1953), Mayabazar (1957), Nartanasala (1963), Maro Charithra (1978), Maa Bhoomi (1979), Sankarabharanam (1979), Sagara Sangamam (1983), and Siva (1989), among The 100 Greatest Indian Films of All Time.In the years 2005, 2006, 2008, and 2014 the industry has produced the largest number of films in India, exceeding the number of films produced in Bollywood. Tamil cinema is Indian motion pictures produced in the Tamil language. 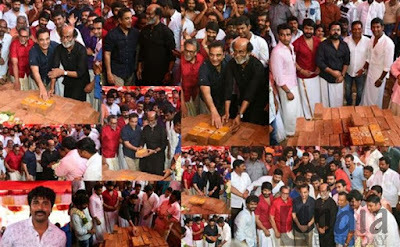 Based in the Indian state of Tamil Nadu, the hub of the Tamil film industry is in the Kodambakkam neighbourhood of Chennai. Kollywood is a colloquial term used to describe this industry, the word being a portmanteau of Kodambakkam and Hollywood. Tamil cinema later had a profound effect on other filmmaking industries of India, establishing Madras (now Chennai) as a secondary hub for Hindi cinema, other South Indian film industries, as well as Sri Lankan cinema. Malayalam cinema is the Indian film industry based in the southern state of Kerala, dedicated to the production of motion pictures in the Malayalam language. Malayalam cinema is the fourth largest film industry in India. So this is your cinema industry in a nutshell. As time passes by technology played a crucial Role and has changed the Phase of Cinema Industry and has revolutionized to a complete cinematic experience like 3D and much more. So now as we are in the cinematic world of 21st century. My next post would be regarding the movies in Hollywood with the best visual effects. 8 reasons why you just can’t miss “Bahubali – The Beginning”!